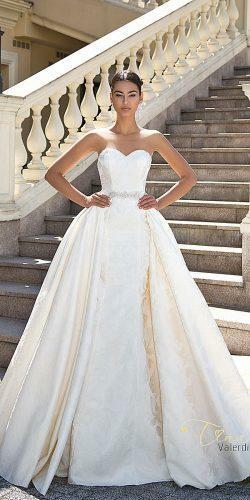 Spanish wedding dress fashion house Tina Valerdi masters in the art of creating stunning gowns. From modest to intricate designs, Tina Valerdi manufactures dresses and bridal accessories from the top quality materials to create light and beautiful designs for feminine brides. The brand currently has local distributors in 17 countries worldwide, in United States, Europe, and Australia (where to buy). Tina Valerdi 2017 wedding dresses and related accessories are exclusively handmade. Their gowns and accessories are manufactured with finest materials like French lace, Italian satin, Egyptian silk chiffon and tulle. 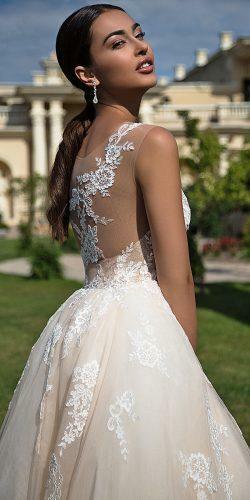 Every detail as well as joy of each bride who chooses a dress from Tina Valerdi are important. 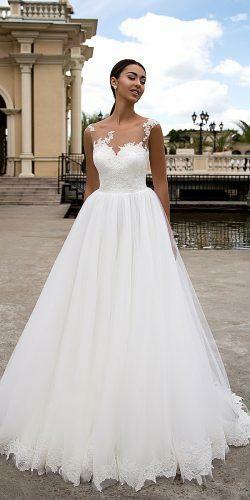 Each bride is sure to find something special for her with all dresses made from individual measurements. Continue browsing Tina Valerdi 2017 Collection “Tenderness by Tina” in our gallery below, and don’t forget to Pin a few of your favourites! “Tenderness By Tina” 2017 Collection expresses deep love for fine materials and most feminine designs. With intricate French lace details and Egyptian tulle skirts this wedding gowns collection is romantic and classic at the same time. Classic colours, stunning silhouette and luxurious materials define Tina Valerdi 2017 Wedding Dresses Collection. Make sure to visit their website to find even more gorgeous gowns and accessories.